Quiet as it may be kept, the HBK Gang is one of the most dominant rising crews in hip-hop. And though many know HBK merely as a collective led by burgeoning star Iamsu!, who’s been busy racking up national attention spurred by his triple-threat writing/producing/rapping performance on LoveRance‘s Billboard chart-topping “UP!,” the other HBK members have been simultaneously buzzing with their own successes, respectfully. Producer P-Lo (of The Invasion) produced Yo Gotti‘s Young Jeezy-featuring single “Act Right,” currently #20 at Urban Radio and rising, and also produced Wiz Khalifa‘s ONFIC bonus cut “Bout Me” (a track that also featured Iamsu!). Meanwhile, Sage The Gemini has also delivered hit after hit and currently has two singles on Billboard’s Hot 100 Chart with “Gas Pedal,” which features Iamsu!, sits at #46 on the Hot 100 chart, and has and spurred an endless number of dance videos on YouTube and Vine viewable by using the #gaspedal hashtag, and the solo track “Red Nose,” currently at #59 on the Hot 100 chart with over 6 million YouTube views. 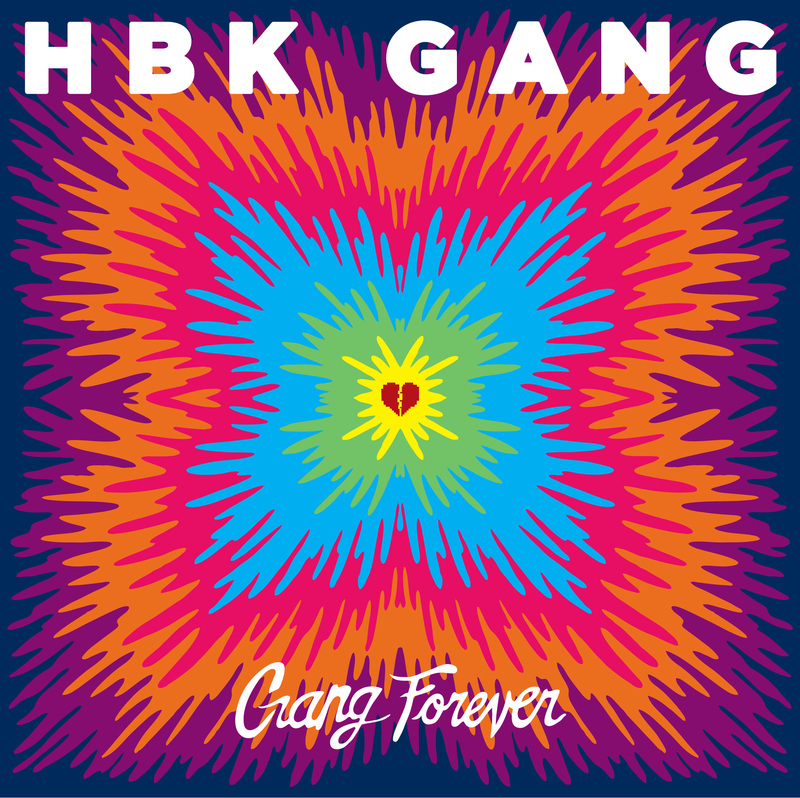 While Iamsu!, Sage The Gemini, and P-Lo have garnered the bulk of the national attention, what truly defines HBK is their strength in numbers; because while the crew has often achieved success apart from each other, the plan is, and always has been, to come back together — and this new tape, Gang Forever, is a perfect example. Gang Forever, due out this Monday, August 12th exclusively via LiveMixtapes, is the first full-length offering from the crew, featuring every single member of HBK — Iamsu!, Sage The Gemini, P-Lo, Kool John, Skip, Rossi, CJ, and Jay Ant — and, together, the collection of childhood friends and frequent collaborators have churned out a mixtape that’s diverse, boundary-pushing, and embodies the HBK Gang spirit of making music that’s simply fun. 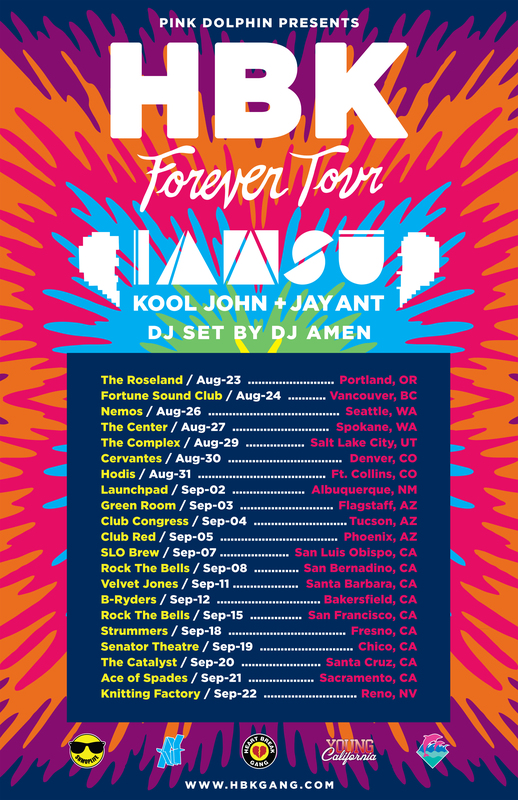 The single and mixtape releases are leading up to Iamsu!’s headline tour, the HBK Forever Tour, featuring Kool John and Jay Ant. The tour starts in Portland, Oregon, on August 23rd and hits stops across the West Coast before wrapping up in Reno, Nevada, on September 22nd. 2012 was nothing short of a breakout year for Iamsu!. The 22-year-old popped up with a triple-threat performance on LoveRance’s ”UP!,” which Su! produced, penned the hook for, and guested on with a scene-stealing verse. The song peaked at number one on Billboard’s Hot R&B/Hip-Hop chart, and in the midst of that success, Su! again delivered a fan-favorite verse on a big-time radio single, this time with E-40′s”Function.” Su! followed that success with a solo mixtape, KILT, and the critical acclaim came in droves, as the project was hailed by SPIN as their Rap Release Of The Week, with the outlet also naming Su! as one of their 5 Best New Artists for June ’12. Su!’s been plenty busy since – a west coast tour; a collaborative mixtape with Jay Ant; a standout collaboration with Wiz Khalifa, “Bout Me,” that appeared on Khalifa’s Cabin Fever 2 and will also show up on his sophomore album, O.N.I.F.C. Iamsu! released mixtape $uzy 6 $peed, which was released exclusively through LiveMixtapes on November 10th. The tape was presented by Bay Area streetwear company Pink Dolphin, which released an exclusive t-shirt and hoody for the tape. Iamsu! is back to work already in 2013, with the recent release of Million Dollar Afro, a collaborative mixtape with Compton rapper Problem. The two West Coast rappers co-headlined their own Million Dollar Afro Tour to support the mixtape. Most recently Iamsu! released his new solo mixtape, KILT 2, in conjunction with LiveMixtapes, which is available now, as well as the remastered deluxe edition, which is available via iTunes.